Ah…high school. Why do I love homeschooling high school so much? Mostly because my teens don’t need my constant attention and instruction anymore! Ha! My children can (finally) logically defend issues that are near and dear to them. Our relationships begin the slow change from parent to friend. I can trust them with more responsibilities. And just to reiterate, I’m very serious about how refreshing it is that learning becomes more independent. Above all, it makes me melt to see the fruit of all the academic lessons, character training, life skills lessons and Bible teaching come together to mold fantastic, capable young adults. Oh, and watching God reveal to my children His purposes for their lives is just utterly amazing! 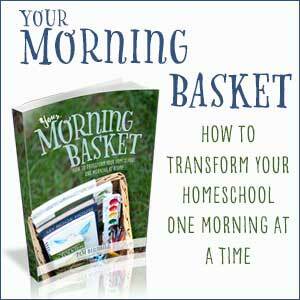 While my husband and I certainly don’t want to let go, this homeschooling thing actually makes it easier, I think. Knowing we’ve poured ourselves into their growing up years and walked alongside them to the end gives us such a peace. God is good to offer that kind of peace. 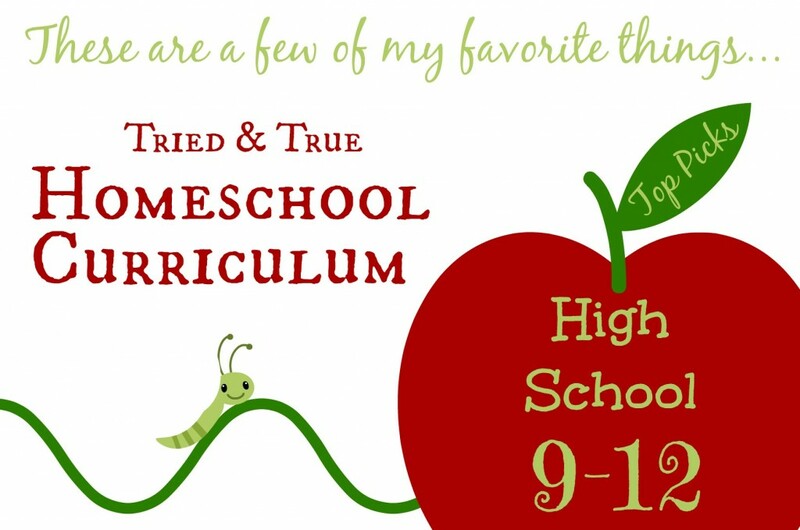 Alright, moving on from the mushy, gushy – below is my list of top picks for high school homeschool curriculum. There are other materials we’ve used, and we’ve even made up some of our own. 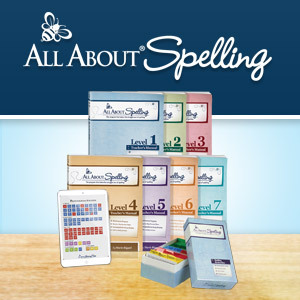 These, however, have been and will be constants during the high school years in our homeschool. 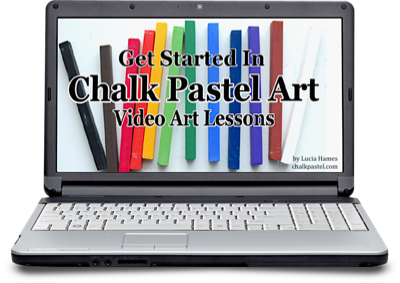 Knowing we lean heavily on a Charlotte Mason style, you may be surprised to find so many textbook-like resources in my list. As I’ve always said, just about any curriculum can be used in a Charlotte Mason manner. Any curriculum we’ve ever used, from PK through 12th grade, has been tweaked to fit our CM lifestyle. For the most part, though, most of the top picks below either utilize living literature (or are “living” in the text presented), and/or are “gentle” in nature, and/or are concise enough as to not waste our time. Please be sure to research my high school homeschool favorites thoroughly to decide whether or not they should be your favorites, too. Wordsmith is meant to be used with 7-9th graders. We tend to be very relaxed with writing instruction in our home until high school. 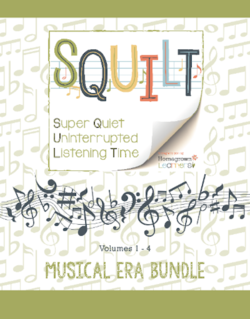 This super-easy-to-use curriculum is our top choice for the freshman year. 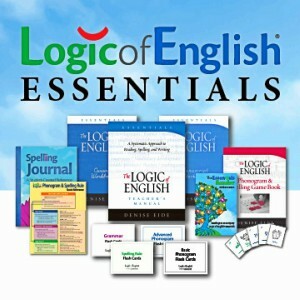 The book begins by teaching writing techniques and ends with writing assignments in all genres. Most importantly for us, it’s very student friendly and doesn’t require a ton of effort on the part of the parent. Feel free to check out my review. Diana Waring’s History Revealed curriculum is so cool because it easily meets the needs of any type of learner and individual student interests. 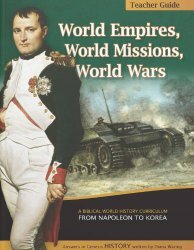 Each of the books (Ancient Civilizations and the Bible, Romans, Reformers, Revolutionaries, and World Empires, World Missions, World Wars) is meant to last one year and can earn a full history credit. The books are arranged in chapters that each take about a month to complete. During that month, your student will be reading text, living literature, researching topics, completing writing assignments, pulling together projects and more. It’s a very adaptable curriculum and there are more ideas in each chapter than you “can shake a stick at.” In reality, you could easily complete more than expected in each chapter and take two years to complete a book, earning 2 history credits. Or, you could use the seemingly endless activity suggestions for other subjects (especially writing) and assign enough history and writing lessons to assign a credit for history AND English in one year. You really have to see this curriculum to believe it. You might get a slightly better picture of all it has to offer in my review. High school students can tackle several volumes per year. To round out the reading, I assign papers here and there and we have lots of family discussions. Of course, anytime we can tie in a good field trip or an excellent documentary, historical movie or historical fiction, we do. Oh, and I make sure each section is followed by a test! Some of the books and DVD’s we use to supplement this series and debunk the liberal viewpoints include: American Heritage Series DVD’s, How Should We Then Live? DVD’s, The Politically Incorrect Guide to Islam and the Crusades, Our Constitution Rocks, Constitutional Literacy DVD’s, and For You They Signed. We read and watch these together as a family most often and, in doing so, have great discussions about current day misconceptions and worldview. You might wonder what topics I’m specifically talking about as liberal…information about our Founding Fathers being deists, information about the Crusades being irrational, and viewpoints that Muslims aren’t inherently against Christians, among others. I like Saxon Math. My children…well, let’s just say they tolerate Saxon Math. It’s a great college-prep curriculum that teaches thoroughly and incrementally. When a student completes a Saxon book successfully, you don’t need to doubt they’ve received a solid math education. Since higher level math can get a little dicey around here, Saxon Teacher CD’s have been life savers for us! Another cool thing about Saxon Math – according to the Saxon company, if you use their 3rd editions of Algebra 1, Algebra 2 and Advanced Math, there is enough geometry embedded within the three to count as four math credits! Three books, four credits – what high school kid wouldn’t appreciate that?? Oh, Saxon Math is notorious for assigning lots of practice problems. We assign odds or evens. If those are done well, we move on. If those aren’t done well, we review the lesson the following day and use the other set of problems for practice. If you have a child who just wants to get through algebra 1, algebra 2 and geometry, then Jacob’s Geometry is a great place to jump off the Saxon wagon. This is a straight-forward, challenging-but-not-overwhelming geometry curriculum that we have loved. You can find real-life, humor and “the big picture” in the lessons. Okay, maybe those things don’t make it painless – maybe not even enjoyable – but highly tolerable. As with Saxon, there are many, many opportunities to practice in each lesson. We never complete all the problems. Apologia Science is full of good stuff. It’s incredibly thorough, offers great labs that are mostly easy to complete at home (or find a demonstration video online), and challenging. 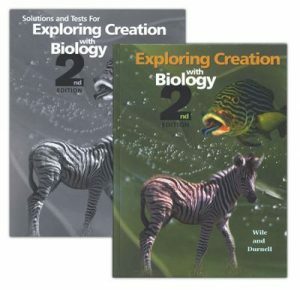 My children might tell you the books are very challenging (especially chemistry and physics), but that’s what I expect from a solid college-prep science curriculum. Even better, they are God honoring. I never have to worry that I’ll have to dispel incorrect teaching. 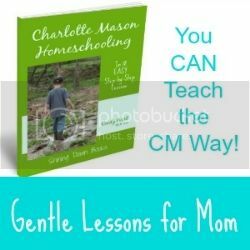 As a Charlotte Mason homeschooler, I’ll have to admit that turning science over to a textbook after our many, many years of nature-based lessons, casual experimentation and unit studies was/is hard. Very hard. Here’s how I cope: We still include weekly nature walks/nature study into our schedule. This “nature day” takes the place of the textbook. Yes, that means we don’t make it all the way through the textbook at the end of the year. That’s okay. I’ve found the last few chapters of each book to be almost “too deep” for my high schoolers anyway. 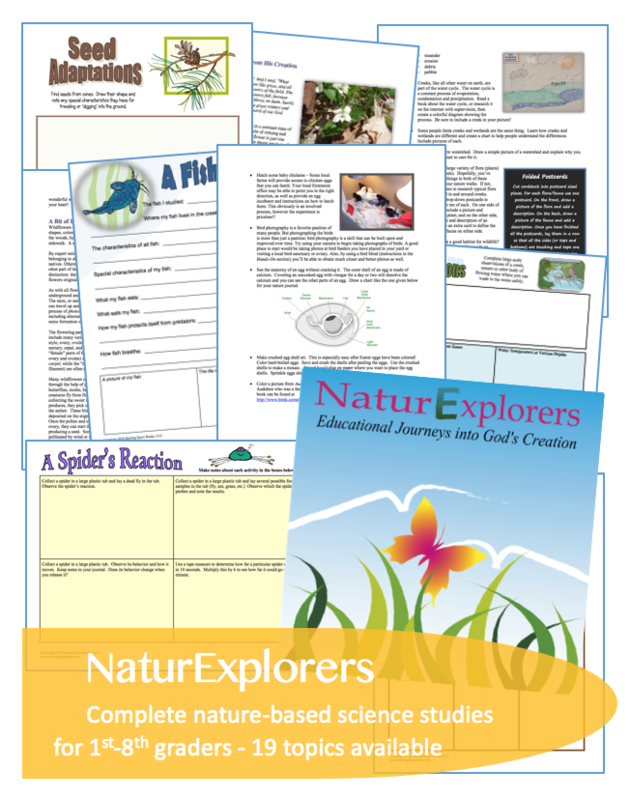 Continuing nature study is far more important to us that finishing any science book! Also, most of the time, we use narration for “check-ups” of comprehension rather than writing answers to the various question points in the book. When possible, I also try to tie in a field trip, living biography or great documentary to round out the textbook feel. American Government in Christian Perspective from A Beka is one traditional textbook curriculum my children and I have loved from start to finish. It’s thorough, God-honoring and concise. Even better, it’s easily completed in one semester. In high school, we make time to learn all we can about the various religions around the world and the differences between Christian denominations. It’s of great importance to my husband and me that my kids know how to defend their Christianity in a world that will try to confuse them at every turn. These two pamphlets from Rose Publishing get us started in our research and study. 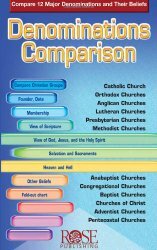 The Christianity, Cults & Religions and Denominations Comparison pamphlets don’t tell you everything you need to know. However, they are a non-intimidating method that piques interest and understanding before we dive deeper in research and the Word. Whether you want to dive deeper or not, these pamphlets (especially the one on world religions/cults) are fabulous quick-reference guides! The world of psychology is fascinating to me. I even seriously considered going into this field in college. Sadly, the few courses I did take on the subject in college presented a very worldly view of the field. Most college students will be required to take at least one course in psychology (or something similar.) They will likely find the same experiences as me. And even if psychology isn’t required, other courses will be that may have very worldly perspectives. I strive to prepare my children to have Biblical lenses focused on the material, no matter the course title. One way to do that is through a course like Psychology: A Christian Perspective. Not only does this course teach the subject from a Biblical perspective, it debunks many of the worldly arguments. In almost apologetics fashion, it teaches what the world believes about psychology and how the Bible stacks up in comparison. Pretty cool, huh? Feel free to read my entire review. 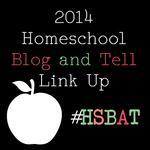 We’ve come to the end of my Top Homeschool Curriculum Picks series (unless we decide to homeschool college!) You can catch up with the other posts using the links below. Have FUN with your children and make wonderful memories! I’m so glad you posted this. I’ve already got Diana Waring’s Ancient Civilizations and the Bible and the psychology course you mentioned is one of the three that’s on my list to check out. Off to read both reviews now! Just ordered the LLATL for American Lit. Thanks for the suggestion and thanks for sharing at Finishing Strong! Thank you for the curriculum ideas! We also did Apologia Biology and loved it! Found you from Carol Top’s website – thanks for your tips! I am using Saxon & Apologia – and I’ve been using a wonderful curriculum for k-8th that I’ve loved (MFW). I’m not sure I’m sticking with it through high school – not because I haven’t loved it – but I am still looking at what will work for him in history, language arts, etc. without the “full box”. Thanks for visiting, Ashley! I hope you have as much fun planning for high school a I do!